It is my pleasure to have the opportunity to return this year as the counselor for Tatum Middle School. Working with students is my calling and counseling has provided me with this continued opportunity. I graduated from the University of Texas in Tyler with my B.S. in Education and Stephen F. Austin State University with my Masters in Interdisciplinary Studies with a certification in School Counseling. I have been in education for the past 21 years serving as a teacher, interventionist, instructional coach, and now school counselor. As a counselor, I am here to assist students with educational, personal, career, and goal planning. 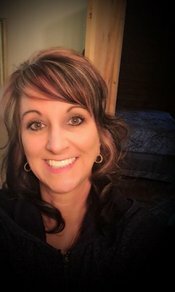 I work to develop personalized programs based on each student’s strengths and needs, assist students in identifying and dealing with problems, facilitate the identification of students with special needs, provide crisis intervention when necessary, and serve as a resource to students, parents, teachers and administrators. If you have any questions or concerns, please contact my office at (903)947-0303. Your child’s success is our number one concern.